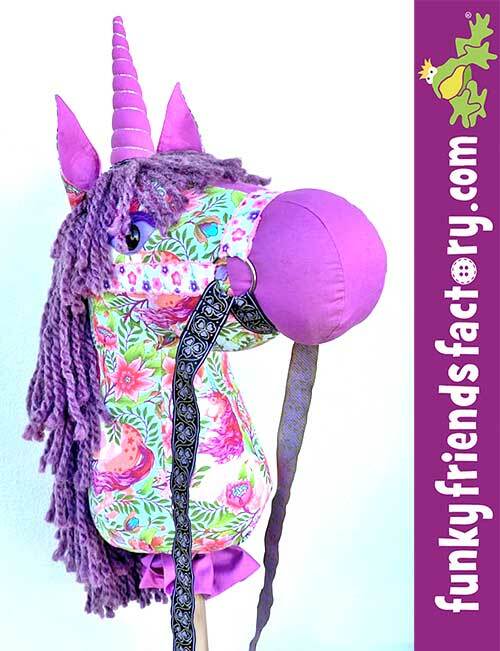 Funky Friends Factory | Soft toys you'll love to sew! -see the price in YOUR currency! 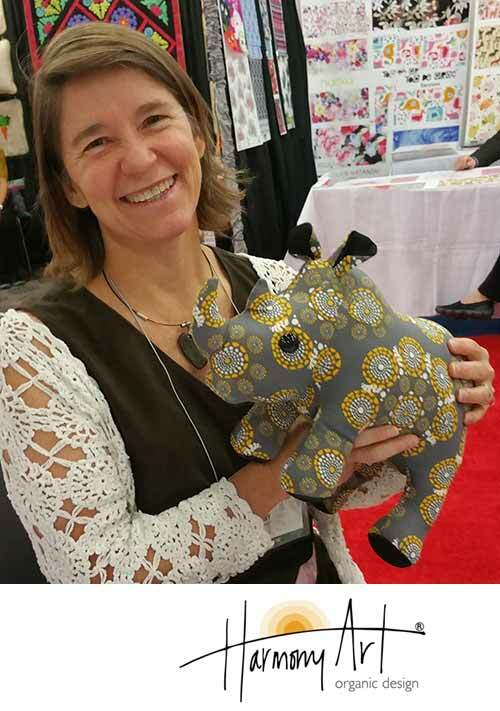 Harmony Art Organic Fabric GIVEAWAY ~ plus a Funky Friends Factory free pattern of your choice!!! 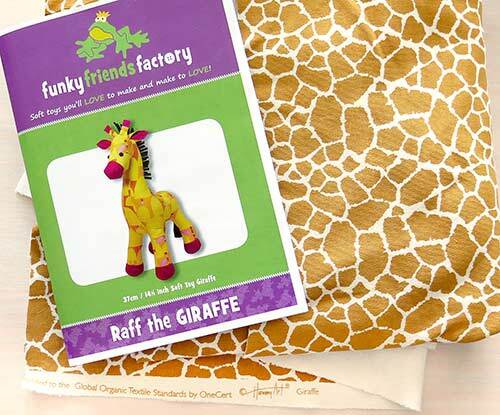 You can win some organic fabric AND and a FREE Funky Friends Factory pattern of YOUR CHOICE – it doesn’t HAVE to be Raff the Giraffe because I know a lot of you already have that pattern and I want EVERYONE to have a chance to win a free pattern! to inspire YOU to sew some super cool softies yourself! 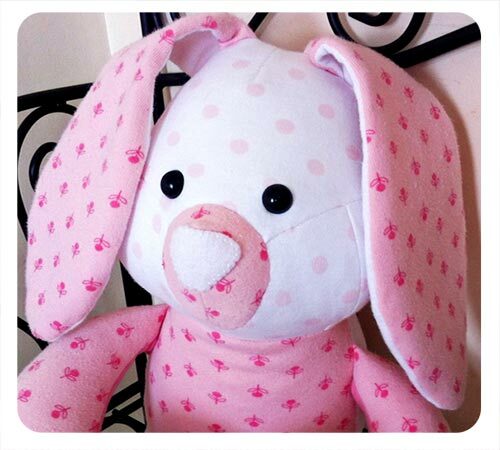 Next is a really sweet, girly-pink version of my Puppy Dog Pete toy pattern sewn by Jill Toevs. She made this cuddly soft toy pup for her new granddaughter. I think Puppy Pete looks very sweet in pink! 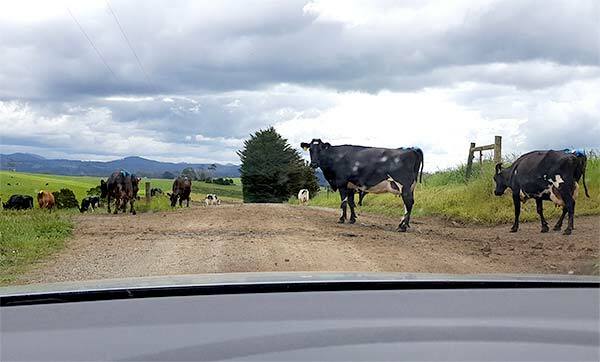 Driving 40 minutes into town (and 40mins home) to go to the post office every day kinda defeats the purpose of moving to the country for a quieter life! 😄 So that’s why I decided NOT to have any posted items on my website anymore. 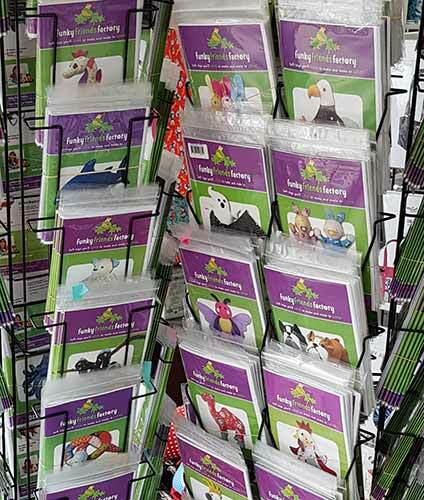 Don’t worry – you can STILL BUY printed patterns and Craft Eyes – let me tell you HOW! ALL my Funky Friends Factory printed (paper) patterns are available – Voodoo Rabbit Fabric who will be my distributor for printed Funky Friends Factory Patterns. When I left Brisbane… I left ALL my hundreds of great quality Craft Eyes with Kylie too. 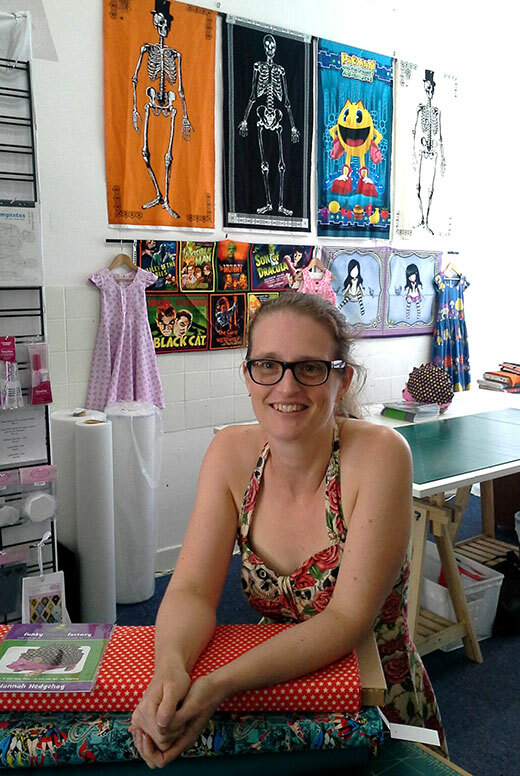 Now you can buy these awesome Craft Eyes from Voodoo Rabbit Fabric website or you can visit them in their really cool store in Annerley. Get some craft eyes at a great price!!! 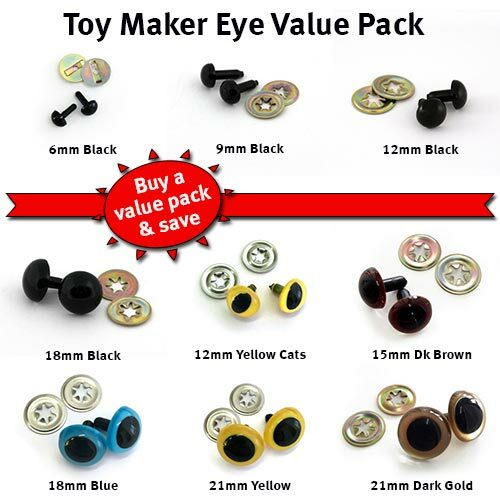 To celebrate the fact that you can still get these AWESOME craft eyes – Kylie is giving my customers an EXTRA discount on the Toy Maker Eye Value Pack. The pack contains 9 different styles of toy eyes (5 pairs of each style of eye) hand-picked by me to suit all my Funky Friends Factory patterns! 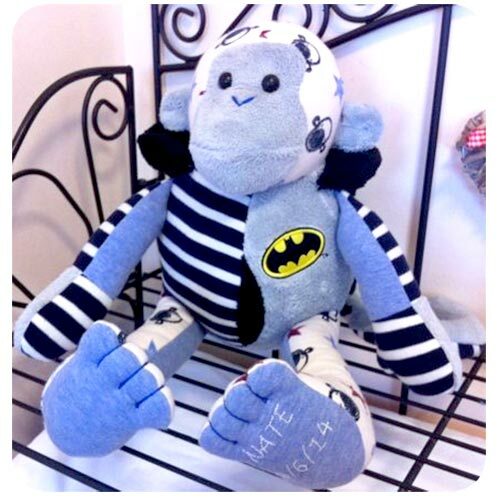 Lots of people sew lovely keepsakes with my patterns. 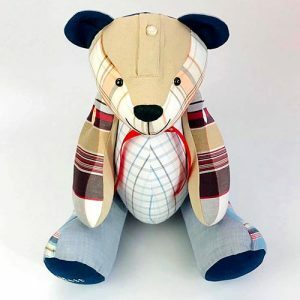 All it takes to create a unique gift is some used clothing and a bit of time to recycle them into a special keepsake toy. 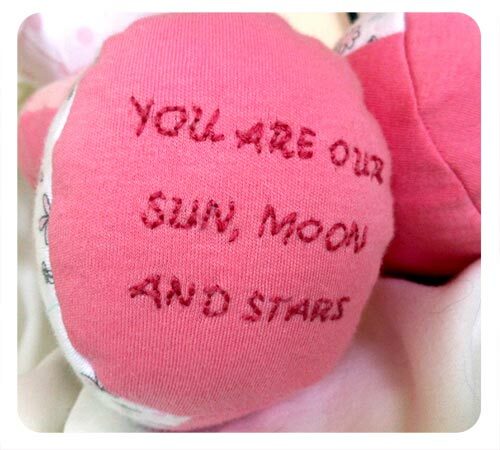 Michelle of Bunty’s Basket Keepsakes has been using my pattern to sew lovely keepsakes for her customers. This is her keepsake version of my Easter Bunny Toy Pattern sewn in some cute pink baby clothes. 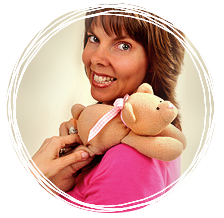 Michelle can make you a beautiful memory keepsake bunny as a great alternative to a memory bear from your child’s outgrown baby clothes AND your keepsake comes with a cute adoption certificate! She also offers personalisation as an add on, so you can add your child’s name and date of birth, a birth weight or a short personal message or quote. 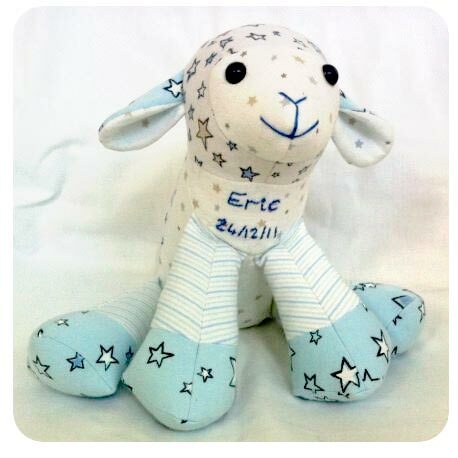 This is Michelle’s keepsake version of my Lamkins Lamb Toy Pattern sewn in some cute blue baby clothes. Lamkins is a bit smaller so she recommends him as a great choice if you have small first size baby grows which you wish to have made into a Lamb Keepsake Toy. He comes with his very own adoption certificate too and she can add personalisation with a name and date of birth on his chest. 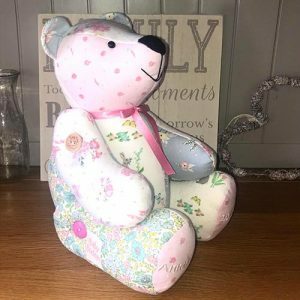 Michelle’s keepsakes are made with the upmost care using her home sewing machine, with cute embroidered details added by hand! Bunty’s Basket Keepsakes can sew lovely keepsakes just for you… or you can use my patterns to use my toy patterns to sew lovely keepsakes of your own! 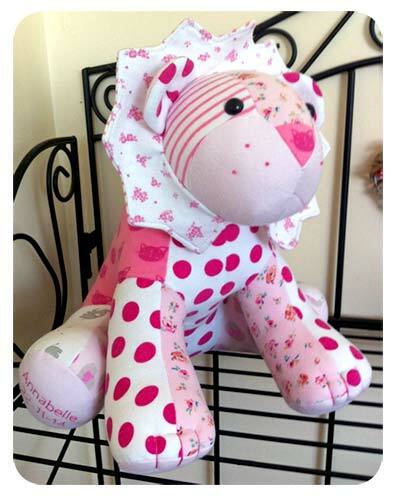 I created my Calico Bear pattern as a Signature Bear in 2013 but over the years I have noticed lots of people sew lovely keepsakes with this bear pattern. 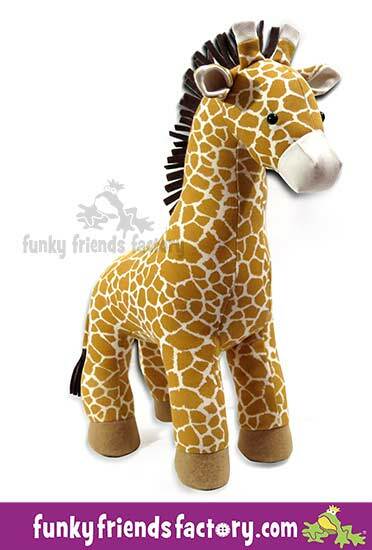 All it takes to create a unique gift is some used clothing and a bit of time to recycle some used clothing into a special keepsake toy. 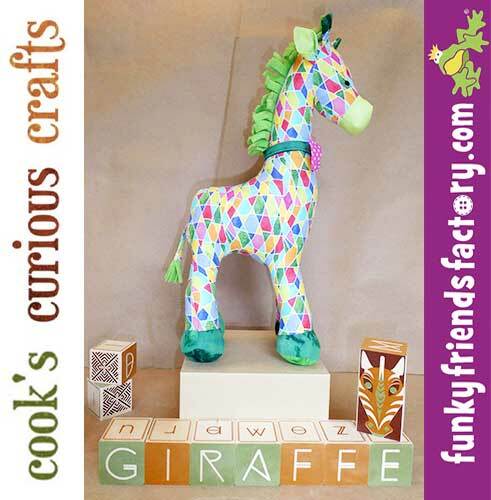 Enter your info below to subscribe to the newsletter and receive all new updates on Funky Friends Factory!